Man’s connection with dogs arguably began with hunting. We were the brains and the spear. They were the eyes, ears, and most importantly, the nose. Today the fragmented world of hunting and sporting dogs has produced countless breeds with specialties to match. One such specialty is a blood dog, meaning a dog that is trained to track and find downed or wounded big game. In most Texas counties tracking wounded game with a dog is legal and I was enamored with the concept. 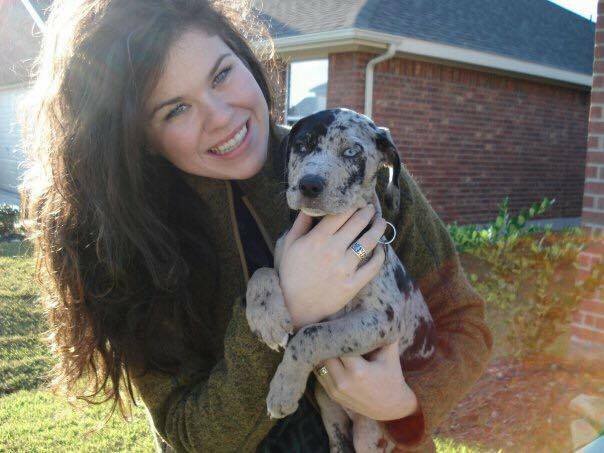 I studied the training techniques and popular breeds associated with the practice and fell in love with the Catahoula leopard dogs. They are Louisiana’s state dog. Their heritage is somewhat vague but they are considered a cur dog with mastiff, red wolf, and greyhound possibly mixed in. The breed, in theory, developed when Spanish “war” dogs mixed and bred with the Louisiana tribes domesticated wolf and cur type dogs. They are colored much like a Great Dane sharing the merle gene with them. They also have a unique trait of commonly possessing different colored eyes with one blue (glass) and one brown. A “cracked” eye, meaning the iris itself is two toned, is also a very common characteristic of the breed. They are typically lean energetic dogs that are large and assertive enough to fend off any predators or hogs it would encounter in the Texas brush. I was in love with the idea of a blood dog but never made the decision to commit to training and raising one for myself. Ten years ago this coming Christmas season my wife Meg, then girlfriend, made the decision for me. She surprised me with a potbellied Catahoula pup. He was blue merle coloration with one cracked eye and one glass eye. We were instant buddies and I am forever thankful for his friendship. The first few months were rough. At some points it felt like taming a velociraptor over training a tiny puppy. Shoes, hats, arms and hands were always being shredded by his growing razor teeth. He did show a knack for tracking early on though. I would save deer livers and venison scraps along with jars of deer blood to simulate a wounded deer by making mock blood trails. The trails would get longer and harder over time and always had a healthy portion of deer liver to eat and a deer leg to chew at the end. He was alert, driven, loyal, loving, and he was mine. We named him King, and the name suited him well. Just past King’s first birthday I arrowed a rogue free range red stag in west Texas. The arrow seemed to hit its mark but had poor penetration. I backed out and hoped the stag would expire, giving him a few hours before returning to pick up his trail. I have no idea why I left King at the house for the recovery. I told myself it was because he was still green, young, it would be his first true test in the field. Despite countless mock trails and deer leg chew toys we had yet to track a real wounded deer together. I was concerned with keeping up with him, if that was even possible. Would he follow the wrong scent and end up in Kansas? Would he come back if we got separated? In truth the doubt was in me. Four hours later and everyone in camp had come up short. We found plenty of blood and tracks, half my arrow, a couple of canyon crossings and hill climbs and no stag. We returned to camp tired and worn. I returned heartbroken and desperate. My fellow hunters left for the evening hunt. I sat on the porch of that old ranch cabin and watched the dust settle on the road as they drove away. King yawned and rolled over in the grass at my dangling feet. I reached down and pat his head and knew that I had to try one more time. The stag would surely die from its wounds and it was my duty to uphold my end of the deal. I also owed it to King; I had doubted him and left him at home. I grabbed a pistol, my future wife, and a leash. King exploded with excitement and undoubtedly recognized we were on a mission and that he was coming. We piled into the old jeep and set off, windows down and wind blowing; King uncontrollably shaking with fevered excitement and me silently and fervently praying it would all work out. We arrived at the start of the trail and I leashed king to lead him to the first blood. It was all I could do not to fall and be drug along. There was no way I would be able to take up this stag’s trail with him leashed so after showing him first blood and holding his nose in it I released the clip on the leash and he was gone. Within seconds we had lost sight of him in the thick cedars. All we could do was listen for the cracking limbs and sliding rocks as he ran away. I immediately panicked thinking he had misunderstood the command and vanished. Was he on the trail? Did he even understand the goal and his role in it? The sound of his running faded into the canyon and with him went my hope. I sat down on a rock dejected and wallowing in my own pity. A short while later I thought I heard a bark. Meg and I looked at each other with questioning hope. Had we really heard him bark? Another bark rang out through the canyon, and another. We immediately sprinted in the direction of the noise down rocky slopes and cedar chocked thickets. The barking and growling grew to an intensity I had never heard from King before, and soon I was within yards of him but still had no visual due to the dense brush. All at once I came upon him, facing away from me, growling, snarling, and lunging towards the bayed stag. His side was stained with blood from being bedded and he was backed into a small oak patch. As soon as the stag saw me he lunged over king knocking him sideways and ran past me within arms reach. In an adrenaline fueled blur, King found his footing and took chase with me sprinting behind. I raised the pistol a number of times as the stag would zig and zag in and out of sight through the brush but the risk of hitting king or worse, Meg, who at this point I had lost track of, kept me from pulling the trigger. King eventually had him bayed up against a rock face and two shots from the .357 ended the ordeal. I collapsed panting and in disbelief of what had just unfolded. The stag was down and the woods fell quiet. King lay over him as if to claim his prize. It was only then that I realized Meg was right behind me. She had been able to keep up and witness the whole saga. I reached out and called to King. I hugged him tight and told him how proud I was of him. We spent the rest of the afternoon and well into the night cleaning and quartering the stag,and packing it out of the canyon. The closest road for even ATV access was only about a quarter of a mile away but there were two canyons and a hill climb between us. It was truly an unforgettable afternoon and quite the dramatic debut for King. As the years ticked by King had other great success tracking wounded game. Once in south Texas on a MLD doe hunt he tracked a wounded doe for over a mile and a half. The group had honestly thought he had disappeared and we returned to camp hoping he would find his own way back. It was then that we heard the faint sound of his barking and followed it to where he was holding down the wounded doe by standing on her holding her neck in his mouth, releasing his grip every few seconds to bark and alert us of his location. 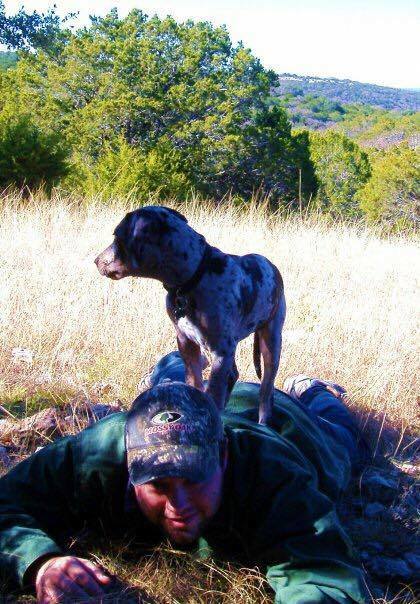 He helped find many a deer down there in south Texas. He tracked Axis and Aoudad in the hill country for numerous guests at our family’s place. While I believe every mortally wounded animal we put him on he found he did not bat 1000. There were plenty of long hard tracks that ended with no animal at the end of it. Knowing what I know now, I believe I killed an aoudad ram this past season that King and I track a few years back. A guest had missed the ram and had attempted a follow up shot hitting the ram in the rear quarter. King, Jay the hunter, and I tracked that ram for two days, finding only the tiniest drops of blood hundreds of yards apart. We concluded it was a non-lethal flesh wound. This past season my ram had a healed bullet wound in the same rear leg we suspected Jay had hit him. King lived hard. He would run into everything he did full force and often life would run right back into him. After the first few years routine vet visits were replaced with traumatic injury induced, sometimes lifesaving, procedures. At last count he lost four fights with a porcupine, two venomous snake bites, and a pretty epic mauling during a misadventure with a Pitbull. For what it’s worth he got a few good licks in himself, the Pitbull needed about as many stiches as he did.He was an excellent judge of character. He would bark and growl at all the right times but never snapped, bit, or showed true aggression to anyone ever with the exception of one person. At one time we had a neighbor of my family’s ranch, who I will not name, that was so notoriously bad about following wildlife and game laws that the Game Warden paid us a visit to warn us of him when he moved into the area. I could write a book on the violations that that one individual and his cohorts committed that I witnessed, caught on camera, or had pretty good evidence of. However what I know and what can be proven in court are different things, and you have to tread lightly when dealing with a neighbor in that remote of an area. One day I was washing dishes and looked out the kitchen window to see that old man drive up in his ancient orange Chevy. As soon as he stepped out of the vehicle, King, who had been napping under an oak across the yard, leaped upon him snarling and barking uncontrollably. The man had to crawl to the roof of his vehicle to escape him as I ran to drag King off as fast as I could. Before this incident King had never encountered that neighbor, nor had he ever shown that behavior to another human. It was like he could sense the guy’s true character. Some things just burn hotter and brighter than others. While the show and the sparks are dazzling, the beautiful displays of light can burn out as quick as it can take flame. This past month my wife and I had to make the painful decision to put King down. What had started as small irritation in his ear quickly exploded into something different altogether. Multiple trips to the vet, different opinions, and unclear outcomes all hung over us like a thick heavy cloud. A few years ago we learned King had developed a heart murmur that would make surviving surgeries and even anesthesia difficult. On March 6th we finally brought ourselves to make the decision we had been avoiding for weeks, it was peaceful, it was hard, and I will never forget him. He was ornery, stubborn, and quite the knucklehead. 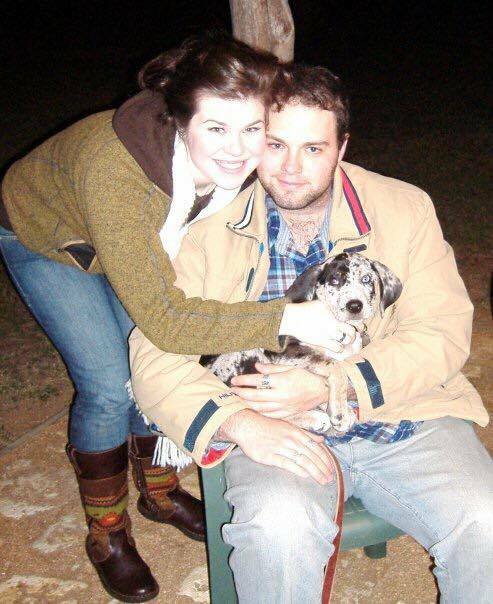 But he was also smart, obedient, driven, and the most affectionate loving dog I have ever known. He was the first dog that was ever truly mine. 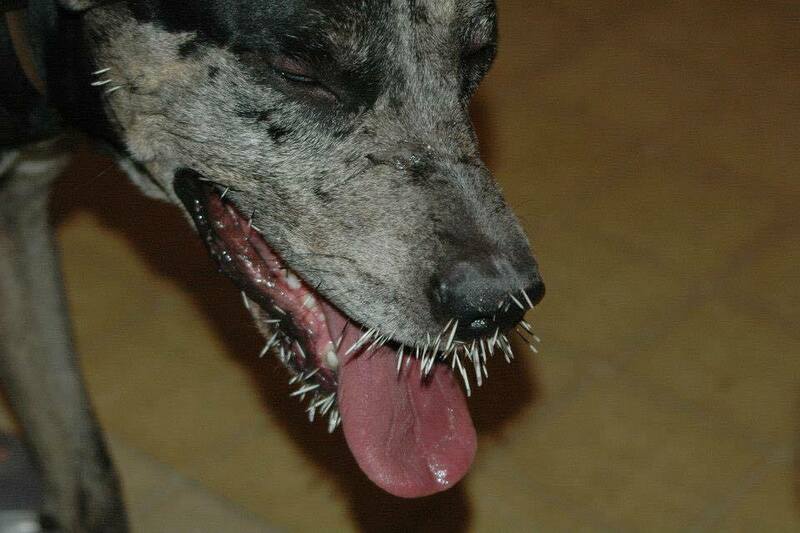 There is a saying among Catahoula owners that you never own a Catahoula but that a Catahoula owns you. I can say that this is true. King owned our hearts, and he will forever be missed.